After what’s felt like an age (okay, a few weeks) of teasing, Solange Knowles has finally announced her new album. Following in the footsteps of her sister, Solange surprise announced that her new album, A Seat at the Table, would be released this Friday (September 30th). The collection marks the first full length record from the singer since her 2008 album Sol-Angel and the Hadley St. Dreams and her first new music since 2012’s sublime TRUE EP. "I am overwhelmed with gratitude and excitement to share this body of work I have written, with you," she wrote on Instagram, before sharing the album's artwork, which was shot by Carlota Guerrero. Solange also shared the tracklist for the album and there are so many features that we actually can’t wait to listen to it. Along with regular collaborator, Dev Hynes, the likes of Tweet (you know, from “Oops (Oh My)” fame), Lil’ Wayne, Sampha, Q-Tip, The-Dream, and Kelela all make an appearance on the album. There’s even a feature from former-Destiny’s Child member Kelly Rowland(!). Earlier this week it was revealed that Solange had been sending books to fans that contained photographs, poetry, and the date 09/30/16. Now it seems that the singer and creative has uploaded the book to her website and it’s stunning. 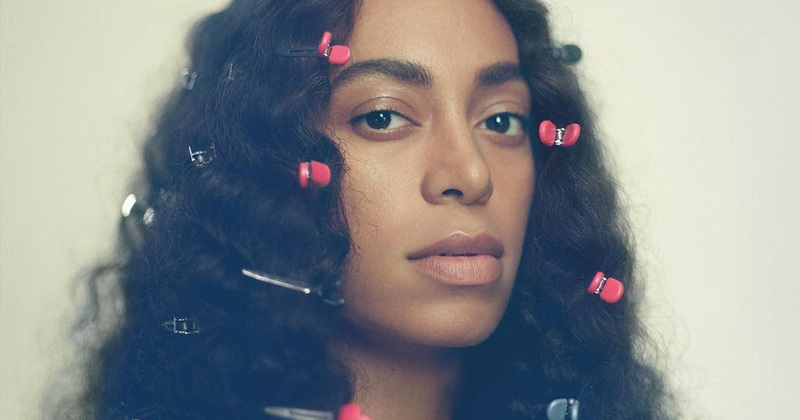 Split into two sections, one for poems and one for photography, we’re seriously blown away by the effort and artistry of Solange’s latest project. Last week the singer teased some new music on her Snapchat story. In typical Solange style, the track seems to defy genre, and has a beautiful vintage vibe to it. Having just turned 30, Solange seems to be in a really good place in her life right now and we couldn’t be happier for her. In fact, on her 30th birthday, she took to Instagram to share this super uplifting and emotional post. With only a few days until we finally get to hear new music from Solange, we have to say we’re pretty darn excited.